We started the day today hearing from professor Reuven Hazan from Hebrew University. Mr. Hazan gave us an overview of the political/government system here in Israel. It was extremely insightful and very enjoyable. Israel is a Parliamentary democracy and, unlike the U.S., elects it’s governing body nationally and not by districts – in fact, the names of candidates aren’t on the ballot, only the party names. Vote for a party and you get the whole ball of wax – every candidate that the party chooses to install. After each election the parties are allowed to send to parliament a certain number of candidates based on the percentage of what their party received from voters nationally. 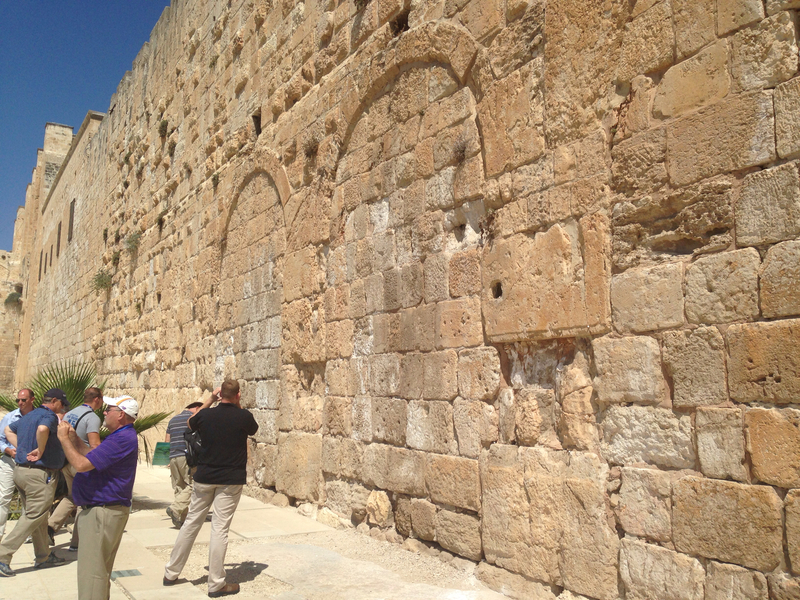 After this morning session we toured the old city which included many of the holy sites you’ve likely heard of before. 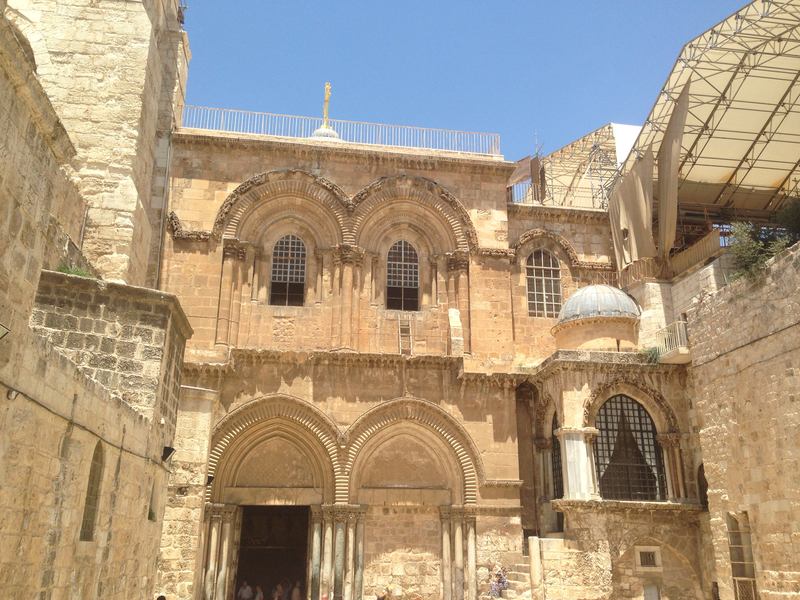 These included the temple mount, the wailing wall (western wall), the church of the holy sepulcher and the room Jesus was believed to have eaten his last supper in. 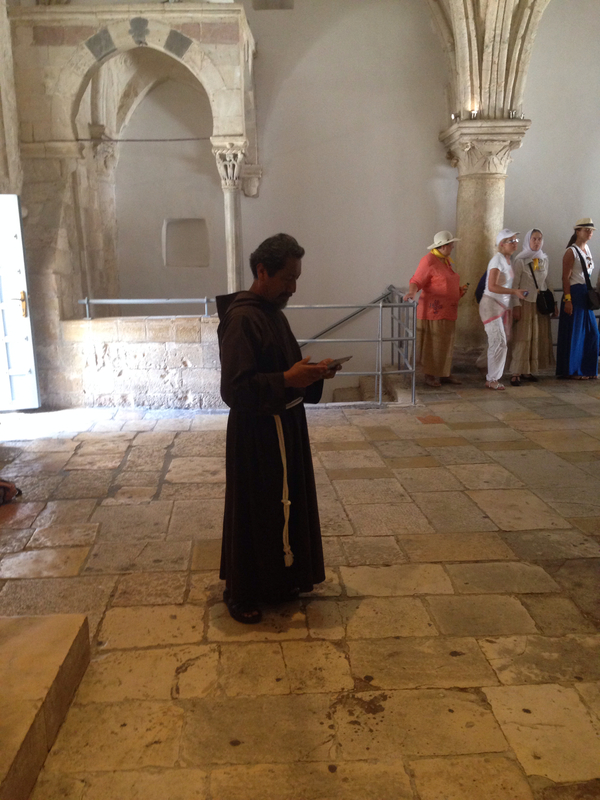 For me, walking up the temple mount, knowing that Jesus had walked on those stones, and taught in that place, and that Peter had likely delivered his sermon in Acts 2 from that spot, was indescribable. The best way to describe it would probably be to coming home. 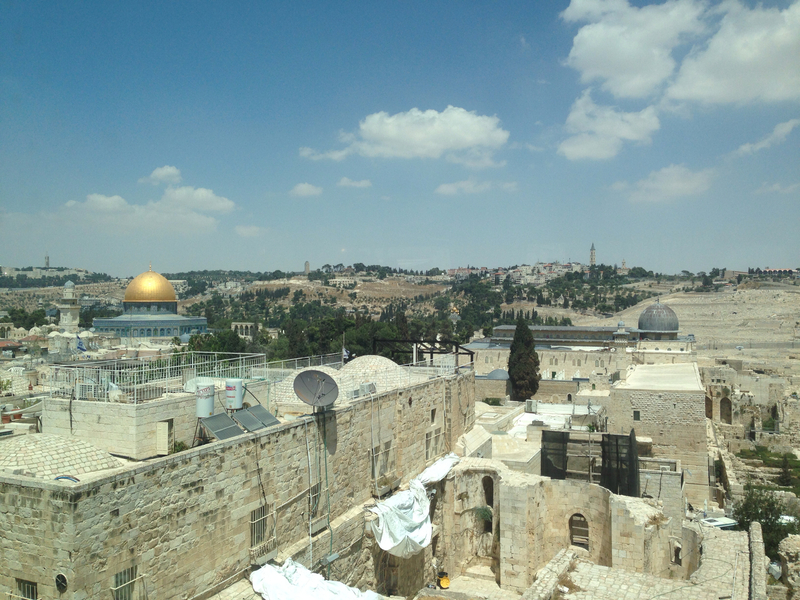 A tremendous peace and amazement that lay unsettled in my gut – until the prayer at the western (wailing) wall whereupon I felt like for the first time in my trip I had met God in this place. Mostly I attribute this to taking in all that I had seen, and then getting to come in prayer to the Lord. When one pastor asked what I had prayed about, I told him that my entire mindset was dominated by thoughts of “come back quickly, Lord.” I say that because there is an overwhelming sense – for me at least there was – that this is where it all took place. And you want it to happen again. You want Him to come again and to consummate His kingdom. All the graves alongside the road leading up to the old city with the Mt. of Olives on the left etc. are there because they want a “front row seat” as our tour guide put it, to the coming of the Messiah —- now jokingly he said that the Jews first question will be “this your first time to Jerusalem?” LOL! For me, that resonated on a deeper level. You see this wide swath of grave stones/head stones there laid out at the base of the Kidron as it wraps around toward the valley of Gehena and you realize they’re like seats in a movie theatre waiting for the great act of world history to sweep across the planes of that desert region and call them up to either judgment or to life everlasting. Regardless, this is going to be the “place to be” so they say. All of this sense, this feeling, comes to a nexus at the wall – at the time of prayer. And needless to say it is very special. We had several meetings after this. One with a humanitarian activist from the Palestinian perspective, another with the leader of the Labor party opposition in the Knesset, and lastly we had dinner with an amazing journalist who is an Arab, Muslim, Palestinian, Israeli. Crazy combination! But that Palestinian perspective has been interesting. Even the Palestinians we spoke with are against the Hamas, they think of Hamas as a terrorist group, and think of Barak Obama and John Kerry as closely aligned with the Muslim Brotherhood – at at the very best, empowering the Muslim Brotherhood! Despite this sentiment toward Obama and Kerry, the Israelis and Palestinians we have met have been very very hospitable toward Americans and have nothing but good things to say about our country in general. In fact, there hasn’t been an elected official, professor, journalist or expert of any kind that has not gone out of their way to thank us for coming at this time to show solidarity with Israel. I can’t begin to describe how amazing it is to receive that kind of message from these men and women who have their lives in danger from terrorists every day. Now, some of you have asked about my safety, and many are praying for me – thank you! I want you all to know I’m safe, and couldn’t be enjoying this time more if I tried. We’ve talked openly with people on the street, and because there has been a ceasefire for over 24 hours now (observed), we’re in good shape. No rocket sirens thus far. I’m pasting some pictures below of what I saw today. This is only a sample, of course, but hopefully you’ll get a sense for what we saw and did today. It was an amazing day. The Israelis, I am learning, are a very courageous people. Their political system is diverse, they have a unique outlook on life, they are surrounded by enemies, and they’re a beacon of freedom and morality in this part of the world. It makes all the sense in the world, therefore, to stand by them in their efforts to not only exist as a nationstate (something Hamas’ charter puts them diametrically opposed to), but to thrive and to lead this part of the world out of the darkness of terror and radical Islam. Several more amazing days in front of me. If I went into everything I learned in each session and at every stop, these blogs would be way too long! But needless to say, this trip is so well rounded that one cannot come away without a very thorough understanding of the geopolitical, religious, historical, moral, and military significance of this place.